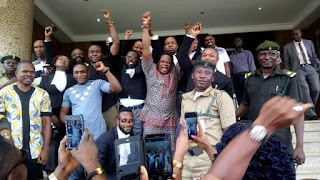 Prior to the stringent conditions attached to the bail of four members of the Indigenous People of Biafra, IPOB, the Nigerian government has been holding their horses to see whether the defendants would be abandoned by their people to languish in prison like orphans due to their perceived inflicted fear of who to stand in for them as sureties after witnessing the horrible persecution and human rights abuse of Senator Enyinnaya Abaribe, first surety to the IPOB leader, Mazi Nnamdi Kanu, passed through in the hands of the Nigerian security personnel. 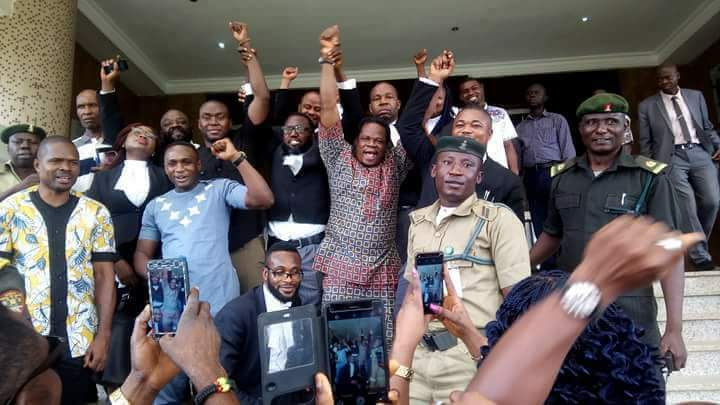 But contrary to their intentions, many Biafrans, more than the actual number of sureties required, stormed the court on Wednesday, June 27, 2018, to append their signatures to effect the bail conditions of the quartet defendants that members who came in excess were asked to standby. This situation, l believe, will put to rest the mindless witch hunting and policing of politicians who are being accused of funding the activities of IPOB. A global organisation like IPOB as severally stated, cannot be funded by an individual. IPOB is a unique freedom fighting outfit substantiated with people of integrity and supported by Biafrans both at home and diaspora. This futile accusations from the Nigerian government employed in diverting the attention of the public from their corrupt practices such as the N30 billion budget fraud perpetrated by the President Muhammadu Buhari-led administration is a typical example. This act has also brought the doggedness and bravery of Biafrans to bear. The East should be feared, I must say. During the Biafra war, only a handful supported the cause and it lingered to three years. As a result of the deliberate marginalization of the Biafrans that didn't end with the war, they were conditioned to buying and selling. It is still with the same skills they acquired in buying and selling that they will utilise to sell Nigeria out through their freedom. The game is over for Nigeria. Now, Biafrans are poised for the final journey towards freedom and nothing can stop them. Really, the leader of the Indigenous People of Biafra, Nnamdi Kanu has awakened many and also restored the dignity of the Biafran race to what they were known for. Imagine a united Biafra against Nigeria.